It’s a bird! It’s a plane! No, it’s Superman costumes! 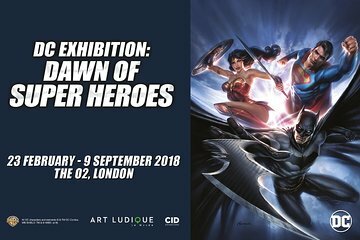 Get a behind the scenes look at the printed and cinematic DC universe at the Dawn of Superheroes exhibition in London. See hundreds of original comic pages and early sketches of famous superheroes and supervillains. See costumes from the Batman franchises by Tim Burton and Christopher Nolan, Lynda Carter’s Wonder Woman costume from the 1970s, and more.